Charcoal grey general's uniform, black gloves, a polished officer's buckle, traditional flared-hip breeches, and insulated boots. He also wore a crested command cap emblazoned with the insignia of the First Order and a gaberwool officer's greatcoat. Character Bio - Armitage Hux was a human male military officer who served in the High Command of the First Order, within which he was a leading advocate of the harsh training methods employed to foster absolute obedience amongst its military. As a general in the First Order, he also commanded the Starkiller Base superweapon and led missions of vital importance to the Galactic Empire-inspired regime. He served alongside Kylo Ren, a Force warrior apprenticed to Supreme Leader Snoke who, despite not being part of the military, could also command the forces of the First Order. 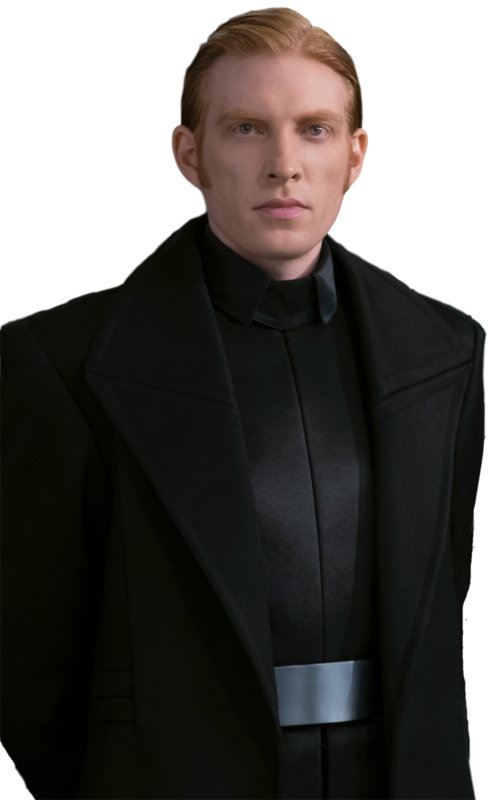 Hux was born on Arkanis and was rumored to have been sired from an affair between his father, Commandant Brendol Hux of the Arkanis Academy, and a kitchen worker. Hux and his father, whose ruthless training methods at the Arkanis Academy inspired those of the future General Hux and the First Order, were rescued from the Academy when it was about to fall to the New Republic near the end of the Galactic Civil War. When the war ended with the Battle of Jakku and the signing of the Galactic Concordance, the young Hux and his father were part of the Imperial Navy forces who retreated into the Unknown Regions. These forces later emerged as the First Order. The Republic believed that the First Order was just an unimportant band of Imperial holdouts, but Hux's training methods forged a formidable military. He also longed to use the Starkiller weapon against the Republic; Hux believed that the Republic was a threat to galactic stability, and that it was his destiny to rule the galaxy. Nearly thirty years after the end of the Galactic Civil War, Hux was part of the mission to recover a map to Luke Skywalker, the last Jedi, on Jakku. Ren led the search for the map, which they were unable to locate. To prevent the return of the Jedi and to eliminate the Resistance, which, under the command of General Leia Organa, emerged to combat the First Order, Snoke allowed Hux to use the Starkiller weapon against the Republic's capital world of Hosnian Prime. The Resistance was left without military support from the Republic, so Hux soon turned the weapon towards the Resistance base on D'Qar. 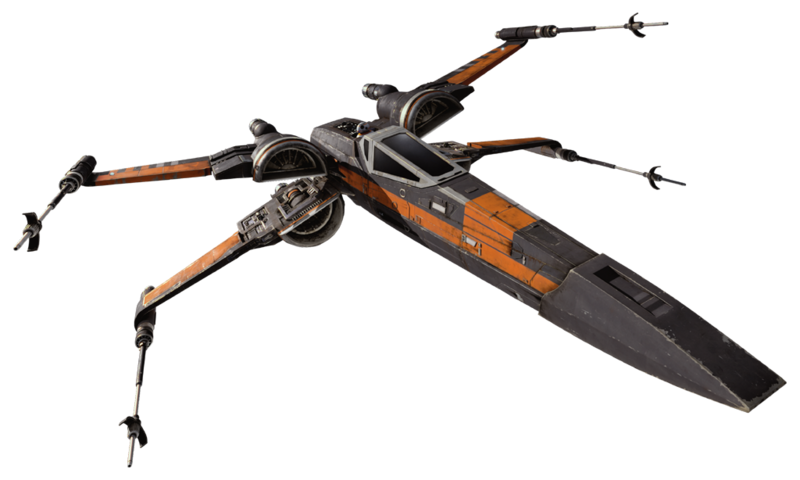 Before he could destroy them, however, an attack squadron led by Commander Poe Dameron�with ground support from Han Solo, former stormtrooper Finn, and the Jakku scavenger Rey�destroyed Starkiller Base, forcing Hux and his troops to flee the planet. Armitage Hux was born during the last days of the Galactic Empire, and was the illegitimate son of Brendol Hux, a Commandant for the Imperial Academy on Arkanis, the result of an illicit affair with a kitchen woman. While growing up, Armitage always thought it was his destiny to rule the galaxy. The young Hux remained on Arkanis while the forces of the New Republic laid siege to the system. As he was putting together his Shadow Council (an intended successor to the Imperial Ruling Council) onboard the super star destroyer Ravager, Fleet Admiral Gallius Rax specifically ordered Grand Admiral Rae Sloane to ensure that Brendol Hux and his son were both safely taken off planet, much to Sloane's perplexity. He explained this by saying "The Empire needs children." With the assistance of bounty hunter Mercurial Swift, the two were safely taken off planet as Arkanis fell to the enemy. Around twenty years after the Battle of Endor, Hux ventured to Parnassos to respond to the distress signal sent by Brendol from the crash site of his ship. Hux arrived at the crash site personally, greeting his father, Phasma, Siv, and Frey impersonally and accepting Phasma and Frey into the First Order. As he rode with Brendol, Phasma, and Frey to the Resurgent-class Battlecruiser Absolution, Hux bore witness to Brendol's orbital bombardment of Parnassos. bout 30 years after the Battle of Endor, Hux was the general who commanded Starkiller Base, the primary base of operations of the First Order, as well as the Resurgent-class Battlecruiser Finalizer and answered to Supreme Leader Snoke. Deeming Luke Skywalker, the last Jedi, to be a threat to the First Order, Hux, along with Kylo Ren, were given the directive. Though First Order possessed maps from the Empire that would lead them to the planet where Skywalker was hiding, they lacked a final piece. 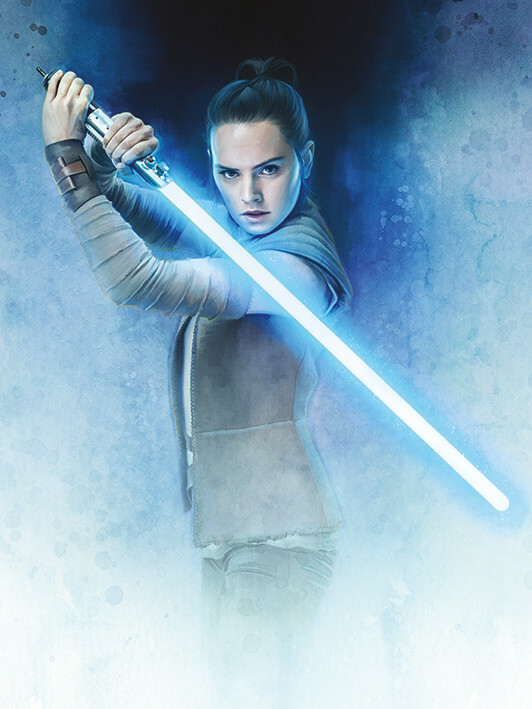 To that end, the Finalizer traveled to Jakku and dispatches a bridge of stormtroopers to attack the settlement of Tuanul, where Ren captured a Resistance pilot named Poe Dameron, who already acquired and hid the final piece of the map. After Ren interrogated Dameron, he informed Hux that the prisoner had entrusted the map to a BB-8 unit. Hux dispatched stormtroopers back to Jakku to search for it and posted a bounty on the droid. After BB-8 fled Jakku aboard the Millennium Falcon, Hux and Ren returned to Starkiller Base, where they spoke to a hologram of Supreme Leader Snoke. Snoke was not happy that they let the droid slip through their fingers and stated that the Jedi would rise again if the map got to the Resistance. Hux humbly took full responsibility for his failure, but the Supreme Leader interrupted him, declaring that their strategy had to change. Hux suggested testing the superweapon and destroy the New Republic for supporting the Resistance, leaving their enemies vulnerable. After receiving authorization for the undertaking, Hux then assembled the First Order army at Starkiller Base and gave a grand speech, proclaiming that the destruction of the Republic would be the beginning of the First Order's rise to power in the galaxy. At his signal, the base's weapon fired and destroyed the Hosnian system, which at the time hosted the Republic's capital and Senate, wiping away its leadership and fleet. However, while its weapon was charging up, the Resistance led a starfighter assault against Starkiller Base, which resulted in the base's destruction before it could fire on D'Qar. Hux was then ordered by Snoke to evacuate the planet and to take the defeated Kylo Ren with him. Armitage Hux was a human man with red hair and pale skin. When he was a young child, his father Brendol Hux regarded him as a weak-willed boy. In his childhood, Hux was frequently belittled by his father. Despite Brendol's disdain for his own child, both Gallius Rax and Rae Sloane recognized that Armitage had the potential to become a military commander of the First Order. 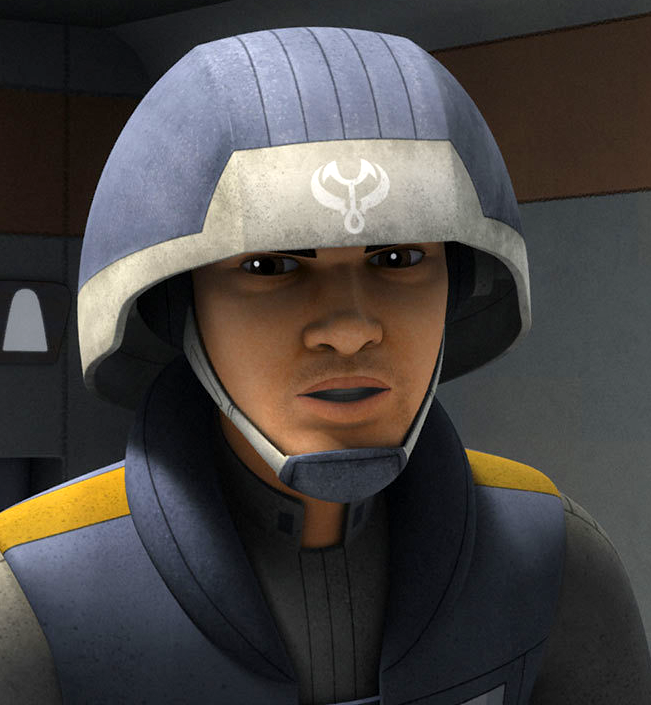 Under Rax's influence, the boy grew more vicious and was willing to order his father's child soldiers to hurt each other in order to assert his authority. From childhood, Hux was raised on stories of heroic Imperials and how the Empire had brought peace and order to the galaxy following the Clone Wars. Hux believed that the the galaxy needed to be saved from chaos and that the New Republic was too weak to rein in these problems. As an adult, General Hux was a methodical commander who continued his father's program of training stormtroopers from infancy. Hux was a scientific and technologically-minded man who had little patience and understanding for Force-wielders like Kylo Ren. Hux had an acrimonious relationship with Kylo Ren and the two competed for the favor of the First Order's Supreme Leader Snoke. Hux was rankled by Kylo Ren's questioning of his faith in his men and methods. He also tried to deflect blame onto Kylo after First Order forces on Takodana failed to recover BB-8 and the map to Luke Skywalker. Due to his upbringing, Hux believed that he was destined to rule the galaxy. He regarded the New Republic as an illegitimate government that had to be destroyed in order to usher in the First Order. Hux believed that Starkiller Base held the key to retaking the galaxy from the New Republic. While Hux was distressed by the Resistance's destruction of Starkiller Base, he nevertheless complied with Snoke's orders to recover Kylo Ren and bring him to the Supreme Leader. As a General in the First Order, Armitage Hux commanded the First Order's armies and Starkiller Base. He was familiar with the operating systems of a Resurgent-class Battlecruiser and Starkiller Base. General Hux wore a charcoal grey general's uniform, black gloves, a polished officer's buckle, traditional flared-hip breeches, and insulated books. He also wore a crested command cap emblazoned with the insignia of the First Order and a gaberwool officer's greatcoat. Hux believed that a tidy appearance was essential to maintaining discipline. When addressing his men, he wore a parade uniform designed to broadcast his authority as a First Order General.